Directed by Ingmar Bergman. Sweden. 1957. 96 min. Swedish with English subtitles. Experience the newly mastered restoration! Disillusioned and exhausted after a decade of battling in the Crusades, a knight (Max von Sydow) encounters Death on a desolate beach and challenges him to a fateful game of chess. 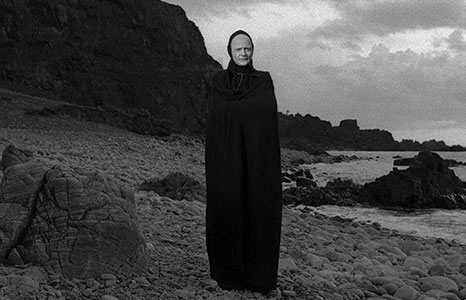 Much studied, imitated, even parodied, but never outdone, Bergman’s stunning allegory of man’s search for meaning, The Seventh Seal (Det sjunde inseglet), was one of the benchmark foreign imports of America’s 1950s arthouse heyday, pushing cinema’s boundaries and ushering in a new era of movie-going. Read the Roger Ebert review.